It’s tough not be impressed with the Surface Pro 3’s design, managing to house a full-fledged PC inside a magnesium alloy chassis that’s less than a third of an inch thick. Not only did they cram an Intel Core i7 among other PC hardware in there, they managed to squeeze in a mini-fan, too. While the fan is mostly quiet, you will, occassionally, hear it whirring, usually when you tru to play resource-intensive software or games. Build quality is impeccable. From the materials to the way it feels in hand to the integrated kickstand’s hinge, this is a premium device that’s constructed the way a premium device should. Somehow, they managed to do all that with a machine that weighs a mere 1.76 pounds — a truly impressive feat. The redesigned kickstand is a much-needed upgrade. No longer are you stuck with two options in standing angles; instead, you can set it anywhere between 22 and 150 degrees. That means, it’s great for whatever task you’re planning to do, whether it’s writing, drawing, or watching movies across the 12-inch display. Microsoft made a huge change to the screen, scrapping the old Surface’s 16:9 aspect ratio into 3:2. The IPS LCD, which comes with 2,160 x 1,440 pixels of resolution, has also been stretched from 10.6 to 12 inches, reflecting a new direction in how they intend the device to be used. The display itself shows very clean text, vivid colors, great viewing angles, and a much-appreciated minimal glare. With the aspect ratio change, the Surface Pro 3 now feels like a proper work computer, rather than just a tablet that’s trying to be a laptop. The same adjustment also makes tablet use great, making it easier to type on virtual keys while seeing the rest of the screen even with the increase in the display’s real estate. It comes with dual 5.0 megapixel cameras, one in front and one in the rear. That makes it possible to use the tablet for 1080p Skype chats, although image capture quality isn’t anything special. One of the reasons for the aspect ratio change is to encourage greater use of the included N-trig-made pen. Microsoft claims the new profile more closely resembles legal pad, making writing on the screen using the Surface Pro Pen a more organic experience. Indeed, it does. Not only is jotting down notes and sketching a great experience on the tablet, it comes with some nice extras, too. When you click the top of the pen, for instance, OneNote immediately launches on the screen (even in lock mode). Double-click and any file you are editing in OneNote automatically gets saved to OneDrive. The Type Cover also gets a redesign. As before, it gets physical keys with backlighting, complete with a satisfying keyboard noise when you type. Trackpad is much bigger than before, although still not as big nor as responsive as you would get on a full-fledged laptop. Unlike in previous versions, the Type Cover is no longer relegated to lying flat on the desk. Instead, it can now be propped up at a slight angle by way of a magnetic strip that can attach to the tablet’s bezel. It’s a small but highly useful change. Do note, using the keyboard on the Type Cover is still inferior to how the experience feels on a regular laptop keyboard. Since it’s mounted on what is, essentially, just a flimsy tablet cover, the thing literally gives under the weight of your hands while you pound out an angry email. The Surface Pro 3 runs fast. Boot time is quick, apps are responsive, and it feels like a really powerful computer. Benchmarks put it on par with other high-end Windows 8.1 business laptops. Simply put, this can do anything your ultrabook can do with the bonus of tablet-style computing in tow. The scaling of desktop apps in Windows 8.1 has always been a hit-or-miss affair with high-resolution computers. That issue remains here. While it’s not exclusive to the Surface Pro 3, it just feels odd to see some apps become blurry and some go off-screen on what’s, essentially, the showcase device for what Windows 8.1 has been designed to do. In a way, that’s a Windows 8.1 problem rather than a Surface Pro one, but the two are so intrinsically linked (they’re both Microsoft products) that it’s hard to separate them (just like you’d attribute iOS problems on an iPad to the iPad because Apple made both). In this sense, the tablet/laptop hybrid isn’t the kind of device you’ll immediately love using. Instead, it’s the kind that grows on you once you become familiar with how to get things done, how to tweak desktop apps to work the way you want, which things work, which don’t, and so on. That is, to say, it very much resembles a PC experience more than a tablet. Can you use it on your lap like a regular laptop? In theory, yes. In practice, it works well enough, although still not as comfortable as a regular laptop (I have this unrealized but unrelenting suspicion that it will keel over and fall down the whole time it sat there). For me, at least, a table or a lap desk is highly recommended — your mileage may vary. How about use as an actual tablet? We’re big fans of the Windows 8.1 Metro experience, as well as the Surface Pro 3’s slimmer form. The 9.1mm thickness finally makes it feel like a real tablet when held in hand. Microsoft also moved the Windows button to the short edge, making their intentions clear to promote use in portrait mode, which is how most tablet use typically takes place. As has been the case over the last few years, the lack of apps in the Windows App Store cuts in a bit on the positive experience. Chances are, you’ll use tablet mode primarily when browsing the web or using the pen. Casual gaming on the tablet is fine. With built-in Intel graphics, however, it’s not exactly up to the task of handling even mainstream games. In the case of gaming, treat it as a work machine — fine for occassional casual play to kill time, but nothing to even attempt serious gaming with. Battery life is solid, although nowhere near all-day as Microsoft would like to claim. While it can, theoretically, last you an 8-hour day (turn down brightness a bit and turn off WiFi when you’re working offline), expect to plug in at least once during a workday if you don’t want the computer to shut down unexpectedly while you finish up an Excel sheet. On that note, the fact that something this slim with the kind of hardware it runs can have a battery that holds up that well is impressive. 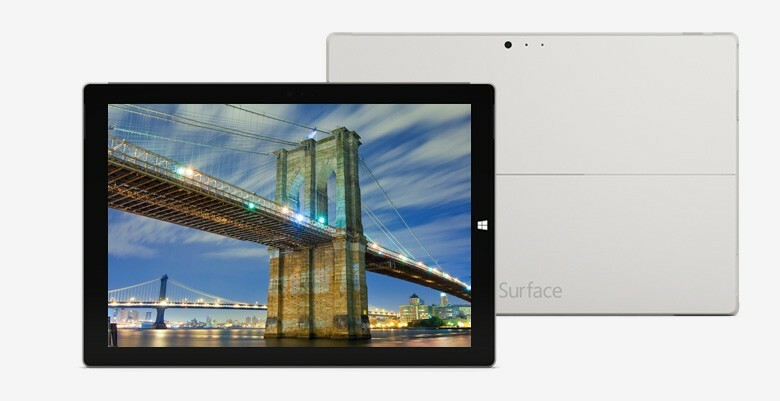 Can the Microsoft Surface Pro 3 really replace the laptop you use every day? For the first time in the series, it’s a genuinely viable option. With prices starting at $800 for a Core i3/64GB model and the need to purchase accessories like the Type Cover ($130) and the Surface Pen ($50), however, it doesn’t sound like the best bang for the buck (that’s almost $1,000 in hardware right there) considering how many good Windows 8.1 laptops there are in the market. 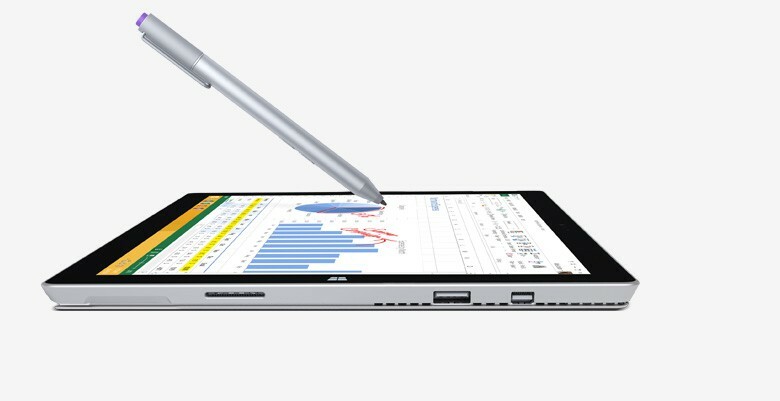 If the unique value proposition of having a laptop that functions as a convenient tablet with a terrific pen experience can sway you, however, then it just might become your next on-the-go machine. Otherwise, we’ll just be hopeful next year’s model will be even better.